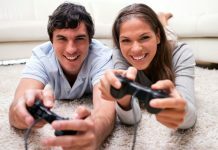 When you can find the best gaming deals & discount offers, it becomes necessary to play games and have fun. If you are a video game lover, you surely would have favorite characters. No, it is not just about warriors or male characters; in many games, female characters are the leads to continue the game. Female characters are rare in the world of video games. However, what makes a tough female proponent? It is not the weapons or fighting spirit. For any character, the players would want autonomy, a personality that impacts your mind and development in it. A protagonist from Nintendo’s sci-fi series is standing on number one as she is an unexpected and unbelievable in the best attainable way. 1986’ Metroid blew away gamers’ mind when at the end of the game, she removes her helmet just to show the reality. A female icon born to fight and has continued to go on hunting missions for almost three decades. The good part is, developers of the game never sexualize her character as she wears a bulky exoskeleton that covers her completely. The strategy or drawing her power with intensity and strong ability makes her most beloved character. Moreover, she has succeeded even when her male counterparts failed. A strong female character does not need just a gun and aggressive looks, she has to hold a set of skills and a sense of her capabilities. For that, Jill would be a perfect character as she was there when the saga began and she kept returning. She is fearless, not just because she guns down the zombies. She has a dynamic brain and beauty that makes you want her by your side in a cataclysmic event of zombies. She has been in 10 different games and got accepted to turn the game into big screen movie ‘Resident Evil’. The list would be incomplete without considering some of the vital characters like Lara Croft from Tomb Raider. She is the pistol-pointing heroine who abandons everything including her aristocratic life in order to explore a new adventure. The tale is adventurous as this fiercely independent daughter embarks her journey for solving the mystery of her father’s disappearance. She also got some remarkable Guinness World Records too. This action-packed story and struggle for survival are wonderfully executed with three-D characters. In each Tomb Raider, her character has become more promising than before and it has made the game fun to play. She is a tricky type of character and would have different incarnations throughout the series. Mostly she is a damsel in distress who would be stuck in some situation from which she always needs to be saved. That is just what you see on a surface. Underneath, she is a great archer and someone who likes to go on adventures undercover like some ninja warrior. The combined display of her wisdom and power makes the voyage more exciting. A powerful appearance and innocent still mind-blowing performance keeps your interest in the game at peak. These are just a few of them, there are some others too. But characters mentioned above are well-known and widely accepted with respective games. If you have not played those games, buy it with the help of Couponobox in an affordable way and play it on. Previous articleTest your ability to strategise on Throne: Kingdom at War.